This idea gained huge traction in education. 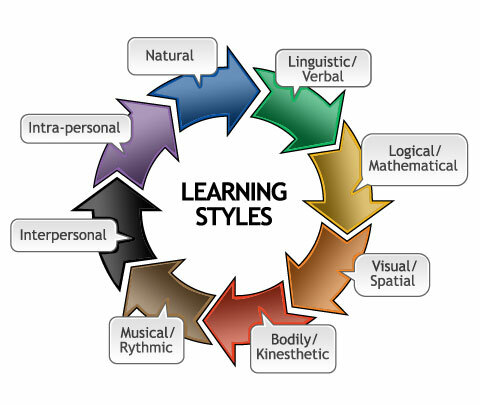 I can remember meetings where university management explained that I needed to take into account student learning styles when designing teaching, and if you ask any students with kids you soon find that Learning styles are still around in schools. What’s really intriguing from a rational thinking perspective about Learning Styles is that as soon as you think about the idea it starts to fall apart. By far the best demolition of learning styles can be found in Daniel Willingham’s work, but you can see what’s wrong with it merely by thinking about how you’d design an experiment to test it. Imagine two groups of participants, one made up of auditory learners and the other made up of visual learners. You give each group a sheet of paper with a list of words to learn, and you read out a second list of words to learn. You’d predict that the visual learners would remember more of the paper list and the auditory learner would learn more of the list read aloud. Of course, if you do that study you don’t find any difference at all. I like to use this a an example for students who have already understood the importance of the scientific method. They can then easily come up with the experiment suggested above for themselves. Equally, I think it’s a lovely example of yet another idea that once lodged in the public consciousness is very difficult to dislodge.